More Snow = More Projects | "MUFFIECAKES"
Let me clarify- Our first flood since living in the house. We also had a flood when a guy was installing doors upstairs and severed a water line with a saw. We also had a flood when a plumber forgot to turn off the water when installing the refrigerator. 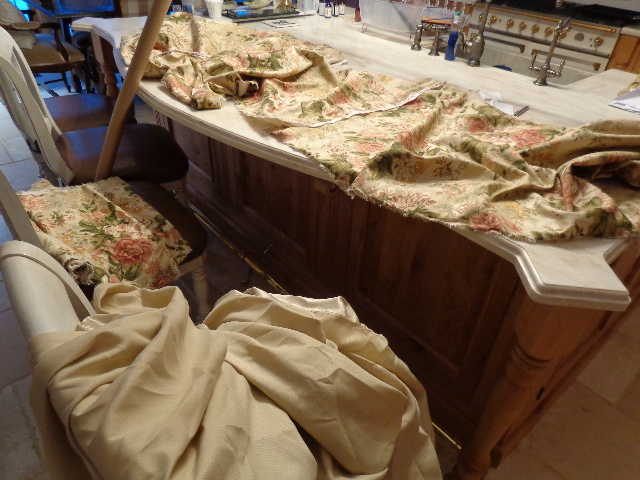 And there is also the flood from the kitchen sink because they forgot to putty the drain.. But this was our very first flood as residents of our new home. 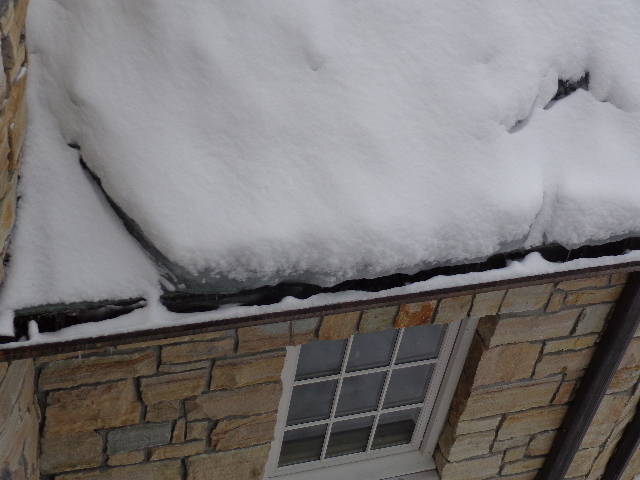 Our mandatory all copper gutters (housing police rule) did not come with any kind of leaf guards or heaters. 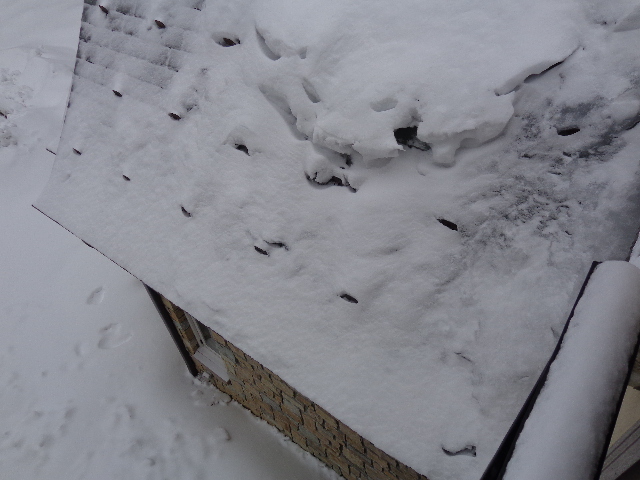 This is a photo of the roof from upstairs. All are frozen solid and the melting snow started backing into the house. I was wondering why our newly installed wood floors were buckled at the top of the stairs. Now I know why! My Wednesday morning was spent sitting outside on a ladder while I hosed down the gutters with hot water. The hose was rigged from inside the house, through a garage window and up to the second floor to make a direct hit to the clogged drain. Modern technology solved the problem! 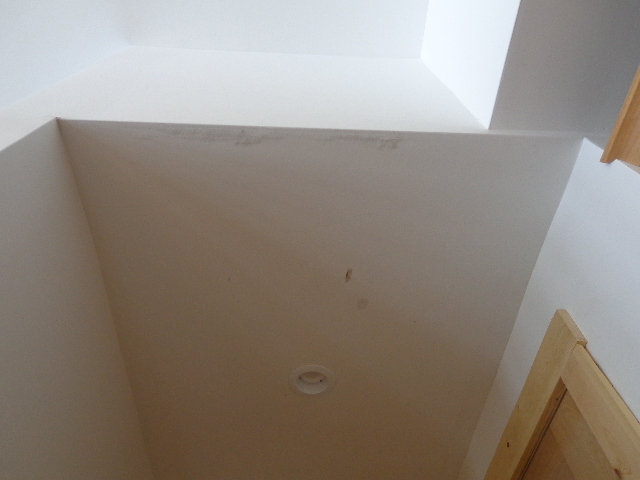 Now Hubby gets to spackle and sand the holes in the ceiling. Since I was housebound, I decided to work on a guest room upstairs for the rest of the day. 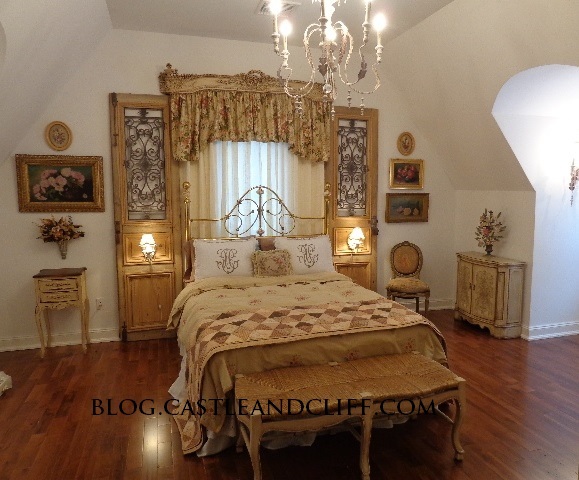 The room is over the garage and has a high cathedral ceiling and two dormer windows. 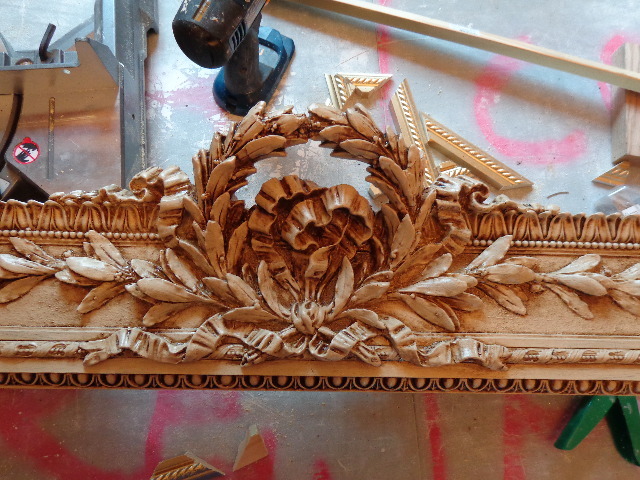 I started with a brass headboard we bought when we got married, which had been in my basement for 20 years. 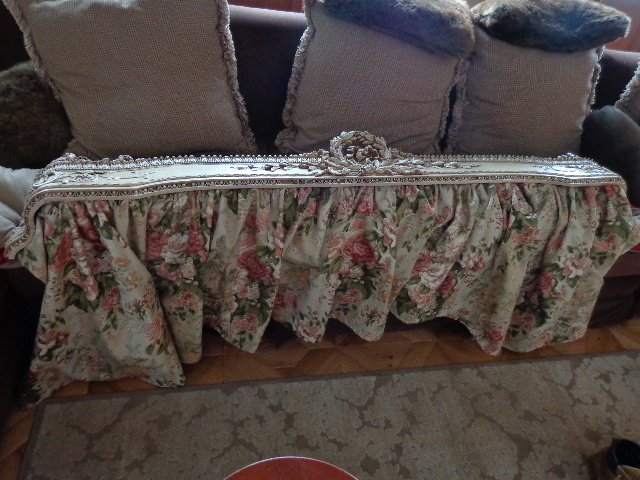 It is very sentimental to me and I couldn’t part with it, so it is getting re-purposed for this room. 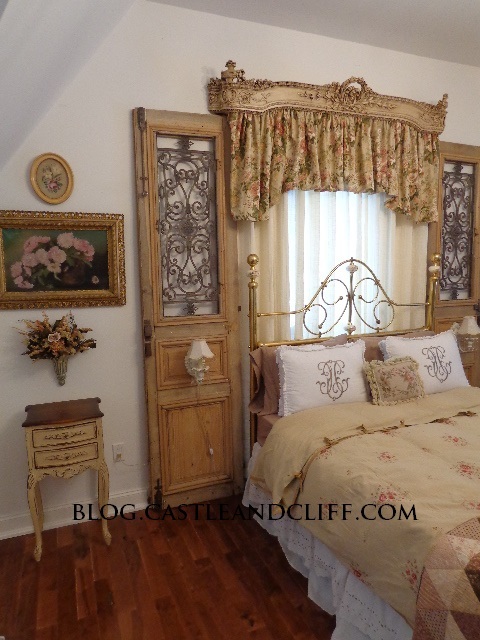 I also had the two vintage pine doors that I took out of my bathroom and decided to put them on either side of the bed. Because of the high ceiling, the room could handle the proportions. 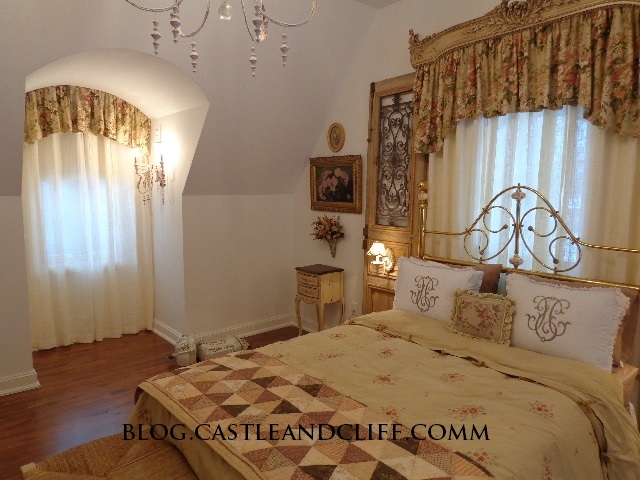 I wanted this room to have a real vintage feel, not formal but of course with a French flair! 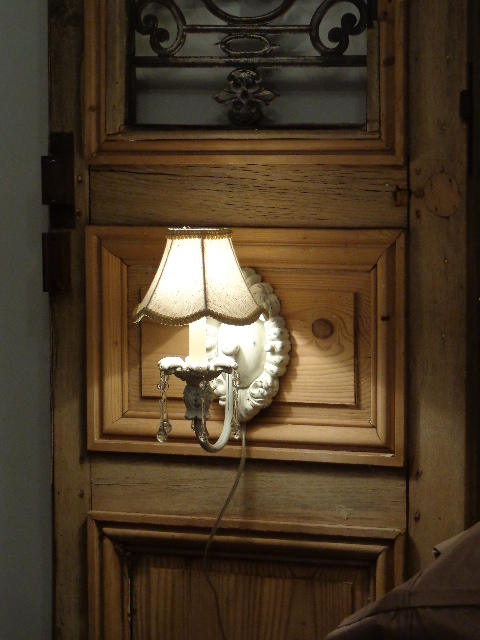 I didn’t want to hide the doors with night stands, so I took two wall sconces from the old house that were wired with on/off switches. They happened to fit perfectly on the middle panel of each door so I attached them using the metal back plates. 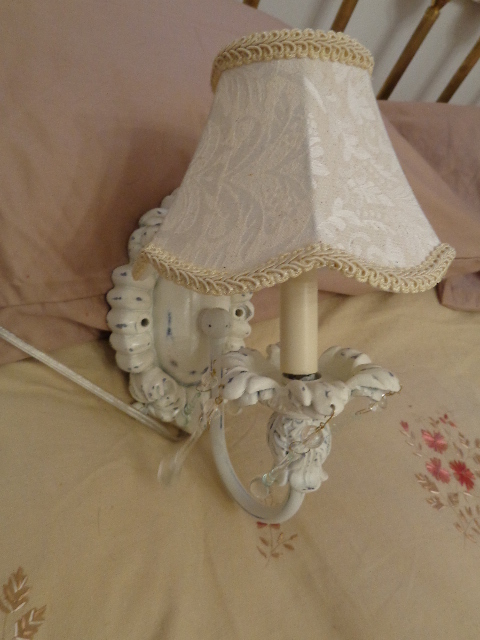 Whoever sleeps in the bed can reach the wire to use the lamp. 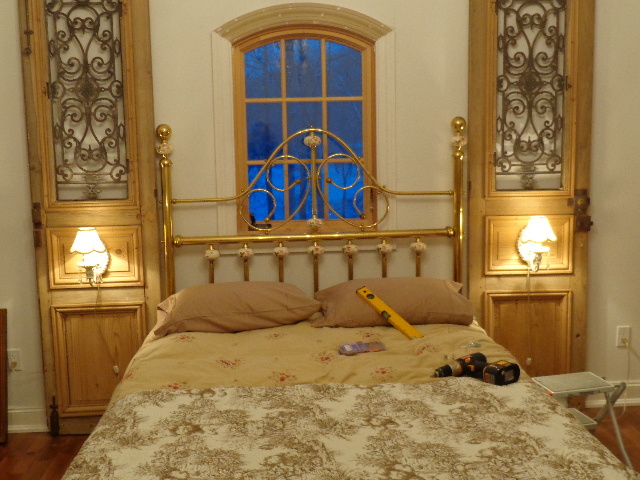 My next job was to soften the window and wall behind the bed. The room gets a lot of sun, so it wasn’t a problem to semi conceal this window. 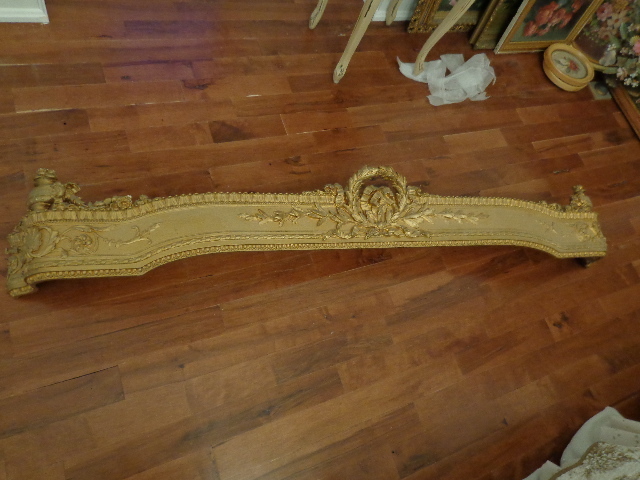 I have a pair of antique window cornices with great carving but an ugly painted gold finish. The width was perfect to put between the doors as a “bridge” to connect them. 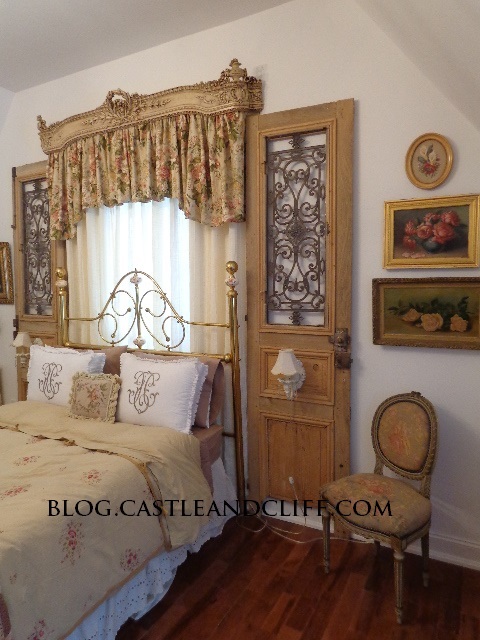 I wanted to give the piece an antique finish to tie in with the scrubbed look of the doors. I gave it a base coat of an off white paint with an eggshell finish. 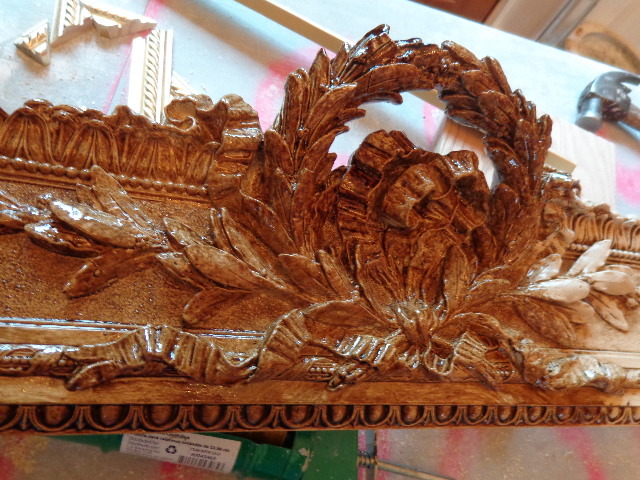 When doing this type of finish, it is easy to have the base coat with some shine, because the second coating of the stain goes on smoothly and wipes off easily. 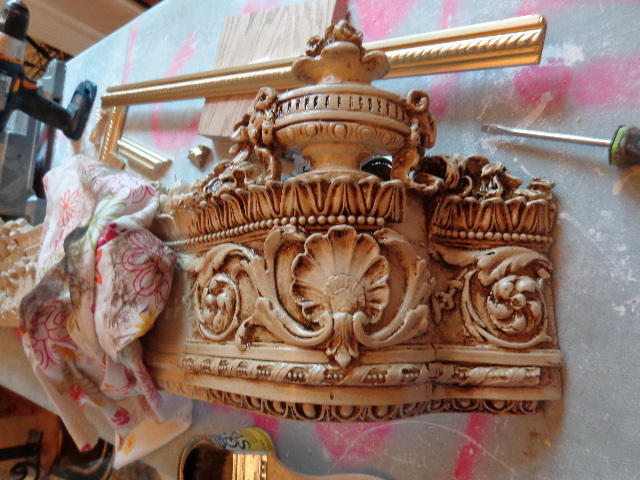 One simple coat of paint really made a difference in showing the detail work! 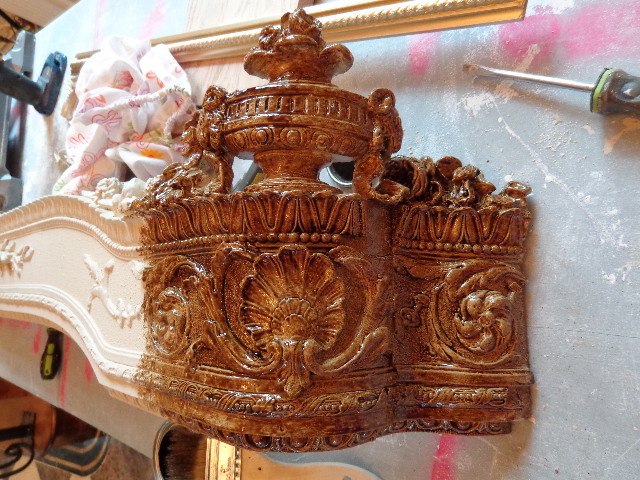 When the paint dries, the next step is to brush on wood stain. I like to use the gel type because it is not as runny and is easier to apply. You have to make sure you get into all the nooks and crannies because this coat will be wiped off and what remains are the dark undertones of the stain. 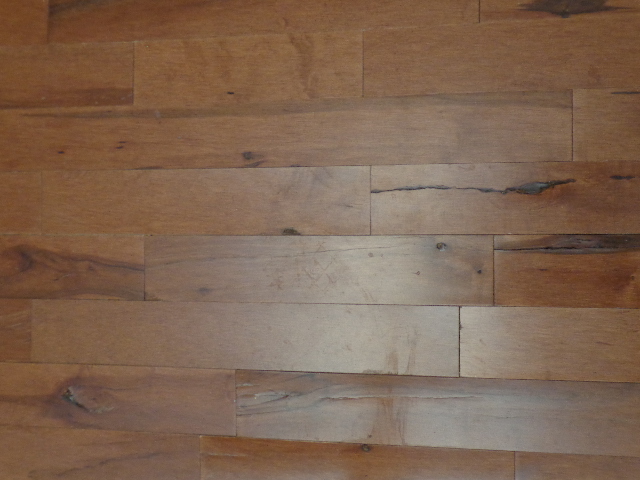 The staining part should be applied in about 12″ increments, as it is easier to wipe it off as you go. The amount that is rubbed off depends on how light or dark a finish you would like. I wanted a lighter finish, so I rubbed a lot off the surface. It is best to use a cotton towel or sheet because it absorbs best and is soft with no streaking. The details really stand out nicely! 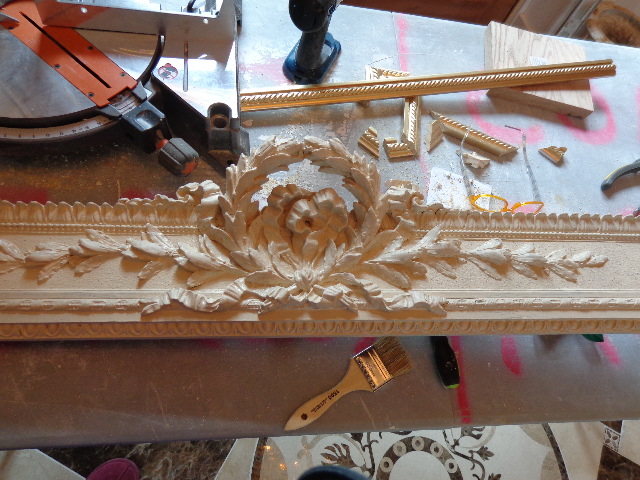 While I waited for it to dry, I made a fabric valance that will be attached to the wood cornice. It has been 20 years since I made drapery. 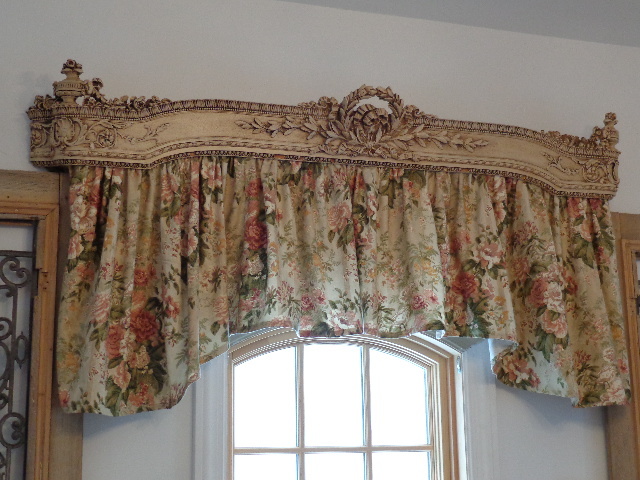 For my old house, I labored for weeks making draperies with lining, interlining, weighted corners and perfectly matched repeats. This time? No way!…. I cut them, sewed seams, hemmed them and was done. 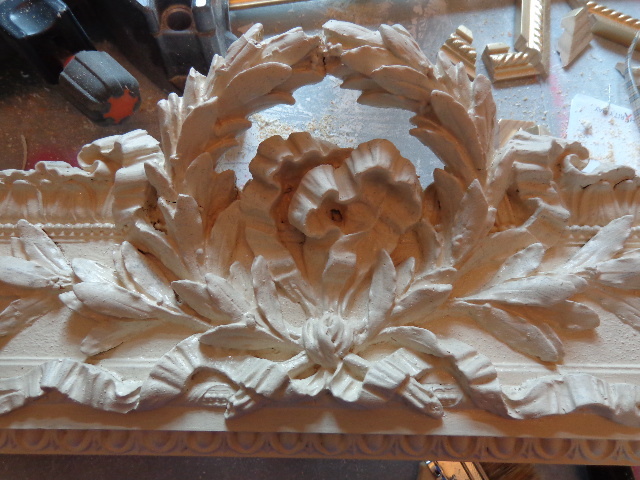 I cut the bottom to follow the curve of the window, shirred the top and then fit it to the inside of the cornice. The next challenge was to hang this thing. I attached picture hangers on the back, measured the width, and put screws above the doors to fit. I actually got it right on the first try and was SO happy! 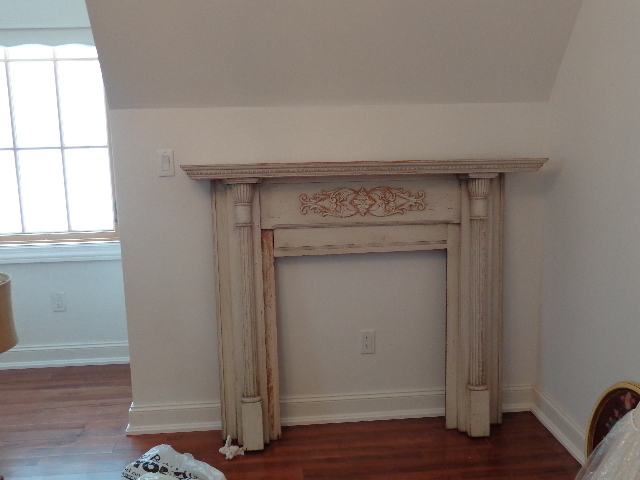 I have an old mantel on the opposite wall that I will make a reading corner with a cozy chair and some lighting. 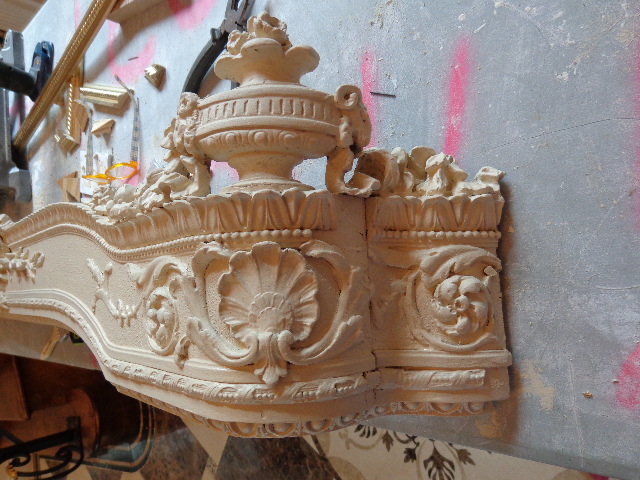 A mantel does not have to be real in order to have one in a room. It is a great way to give some architectural interest. Candles can be used in the hearth instead of a real fire. The most enjoyable part is the finishing touches. All I have to do is go into my other guest room which is a storage room right now. I took what I thought works well and accessorized the room. Now that the other room is clearing out, I can get started on that one. I just don’t want any more snow!